You may not expect one of the most compelling new voices in hip hop to wield dual psychology and sociology degrees from Stanford University or find inspiration in the buttoned-up world of indie rock, but for K.Flay, defying expectations is simply part of the game. Kristine Flaherty grew up outside of Chicago, devouring her father's classic rock records and staying up late dancing to Parliament-Funkadelic in the living room. It was this same musical open-mindedness that would later spark her artistic development. She found her musical voice in college, fusing the eclectic power of the Bay Area hip hop scene with her own unique presence, inspired by strong, independent female artists ranging from Missy Elliott and Lauryn Hill to Fiona Apple and Liz Phair. On stage, K.Flay is a one-woman whirlwind: whether she’s creating beats, singing, rapping or playing guitar, her wit and acerbic charm shine through. Her talents have led her to share the stage with artists including Snoop Dogg, Ludacris, and 3OH!3, where she quickly won over audiences who hadn’t seen anything quite like her before. Further setting her apart from the pack, she serves as her own producer in the studio, methodically infusing her hip hop swagger with a dose of sonic exploration. 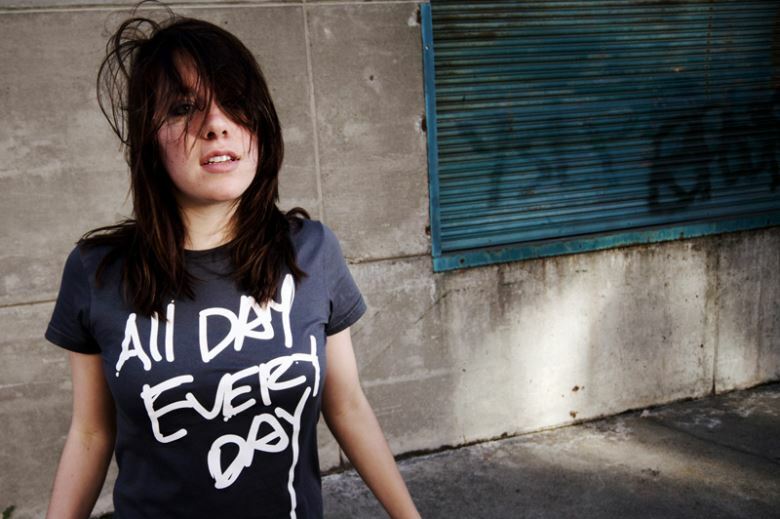 With one mixtape (the genre-hopping MASHed Potatoes) already available online, K.Flay is spending the rest of 2010 recording in San Francisco and touring with Passion Pit in October and 3oh!3 in November.